With so many great titles publishing this fall, we couldn’t resist posting a second list of our most anticipated reads. 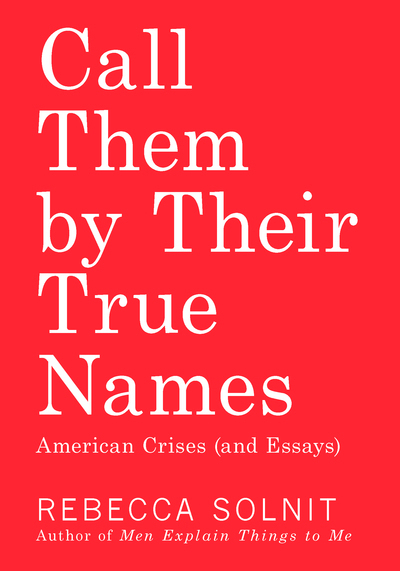 “In this powerful and wide-ranging collection, Solnit turns her attention to battles over meaning, place, language, and belonging at the heart of the defining crises of our time. She explores the way emotions shape political life, electoral politics, police shootings and gentrification, the life of an extraordinary man on death row, the pipeline protest at Standing Rock, and the existential threat posed by climate change. “CanLit—the commonly used short form for English Canadian Literature as a cultural formation and industry—has been at the heart of several recent public controversies. Why? Because CanLit is breaking open to reveal the accepted injustices at its heart. It is imperative that these public controversies and the issues that sparked them be subject to careful and thorough discussion and critique. “Frances Price — tart widow, possessive mother, and Upper East Side force of nature — is in dire straits, beset by scandal and impending bankruptcy. Her adult son Malcolm is no help, mired in a permanent state of arrested development. And then there’s the Price’s aging cat, Small Frank, who Frances believes houses the spirit of her late husband, an infamously immoral litigator and world-class cad whose gruesome tabloid death rendered Frances and Malcolm social outcasts. “On the morning of April 29, 1986, a fire alarm sounded in the Los Angeles Public Library. As the moments passed, the patrons and staff who had been cleared out of the building realized this was not the usual false alarm. As one fireman recounted later, “Once that first stack got going, it was Goodbye, Charlie.” The fire was disastrous: It reached 2,000 degrees and burned for more than seven hours. By the time it was extinguished, it had consumed 400,000 books and damaged 700,000 more. Investigators descended on the scene, but over thirty years later, the mystery remains: Did someone purposefully set fire to the library—and if so, who?